Yes, we have members all over the globe. But the election of the Pope reminds us that having members around the globe does not make you, functionally, a “global church.” It just means you have members all around the globe. A truly global church is a church that is able to function, to make decisions, when it needs to. During our last General Conference, the United Methodist Church proved beyond all shadow of doubt that we are dysfunctional in terms of our systems. No legislation of consequence was passed. Several items that did pass were later overturned by the Judicial Council. By all accounts, everybody from every corner of our denomination –liberal, conservative, moderate, American, International– went away feeling that after three weeks of meetings, anything resembling real change was effectively blocked by gridlock of one kind or another. By contrast, the work of the College of Cardinals was stunningly efficient. They came together, in great pomp and circumstance. They took to their task with utter seriousness, and with an attitude of prayer. They spent a couple of days, praying, deliberating, voting. When they were done, they were done. 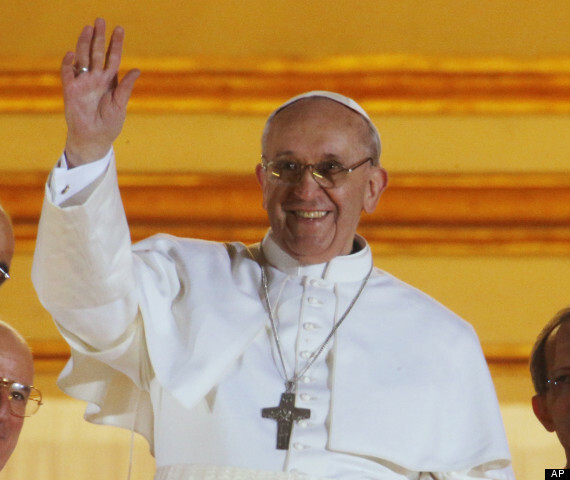 The white smoke rose, and Pope Francis was announced to the world. I am not, of course, suggesting that Catholic theology and practice are superior to my beloved United Methodist tradition. With respect to the role of women, a place for gay and lesbian persons, true structural equality between lay and clergy in matters of decision-making, the UMC is light years ahead of the Roman Catholic faith. What I am saying is that the contrast between these religious events (General Conference and the election of the Pope) from two communion’s who claim the mantel of “global church” could not have been more stark. We are an American Church pretending to be a global church. We have been an American Church for more than 200 years. Up until four years ago, the vast majority of our delegates to General Conference were American. But, the rapid shift in the way delegates have been apportioned (a questionable shift that I’ll address in a moment) has meant that this still American Church is now suddenly pretending that it’s, “presto-chango,” global. It’s not. We can click our heels and say the words as often as we want, but it won’t make it so. Here are three specific examples of how it is not so…. …American United Methodists financially support much of the “worldwide church,” and without this financial support, the world-wide church, as we imagine it today, would be financially unsustainable. …American United Methodists understand the legislative processes of General Conference because it’s in our DNA, blood and cultural being as Americans. …American United Methodists covenant together to a standard of record-keeping with respect to church membership and financial data. This rigorous standard, from what we can discern, does not exist in places such as Africa. Let me say a bit more about all these. As to the second, whether the issue is basic language translation on the floor of General Conference, or in committees, it’s clear the delegates did not understand even the words being spoken at General Conference(1), much less the legislative processes at work. General Conference is an intensely democratic legislative system, reflecting the American system of government. American delegates are used to such systems not only in their church, but in their local governments, their PTASs, and the hundreds of other voluntary and civic organizations that make our nation great. Such “ease” with these kinds, gained over generations, does not transfer to all international delegates, there democratic systems have not been the rule. As to the third, “record-keeping” point, I continue to ask questions that continue to go unanswered about the international church, and financial/membership accountability. I have no doubt that the African church is growing at some level. But at what actual rate? Is there any kind of “paper trail” of “drops and adds” to membership roles that’s in any way similar to what we are required to keep here in America? Just last week, another very smart person I know in the national UMC confirmed that he has been asking the same questions, and nobody seems to be able to provide firm answers to him either. This is deeply troubling to me, because it calls into question the fundamental structure of General Conference itself. How can we apportion delegates to the General Conference without “apples/to/apples” membership record-keeping?!! !This raises serious questions about the legitimacy of our General Conferences processes at fundamental levels. The best of these would be regionalism. This idea would grant a regional authority to different parts of the world (America, Europe, Africa, Asia, for example) and allow the United Methodist Church in each part of the world to develop distinctive mission and witness appropriate to their cultural context. This is what we all say we want for our church. This is how Wesley saw the church…as responding to the “mission field.” But with our broken and dysfunctional current systems, it’s not how we’re acting. We should unleash the church in Africa to be the church in Africa. We should unleash the church in America to be the church in America. And then, trust that Holy Spirit would work in all areas to bring about the church that God needs in each place. Like the Jerusalem Conference of Acts, we should admit that different cultural situations call for different social witness. In America, this would almost certainly mean a more welcoming embrace of LGBT persons. And, lest anybody suggest that I am only bringing this up because the African/International vote “blocks” more progressive legislation currently…Yes, that’s absolutely a part of my concern. I’d be disingenuous to claim otherwise. But, the deeper truth is that regionalism is the way we have always maintained our external unity. Always. Lest we forget, there are five jurisdictions in the United States. When you learn basic Methodist history, you learn how a part of why these jurisdictions were created to prevent “northern bishops” form serving southern churches, and vice versa. There never was a “unified” United Methodist Church without this regionalism(2). In fact, the five current jurisdictions largely exist for this reason, and this reason alone. In other words: Methodists of previous generations understood that it was regionalism that would hold the key to maintaining a “unified” United Methodist Church. Maybe it’s time to try that again, but on a global scale? Regionalism wouldn’t solve everything overnight. But it would most definitely take the pressure off the continuing dysfunction of General Conference by relieving it of having to make “global” decisions on each and every issue, when cultural situations so often dictate different decisions in different locations. And perhaps that would allow General Conference to get back to the core mission of “Making disciples of Jesus Christ for the transformation of the world.” That would be nice. Unlike Catholicism, diversity is a core value of United Methodist faith. 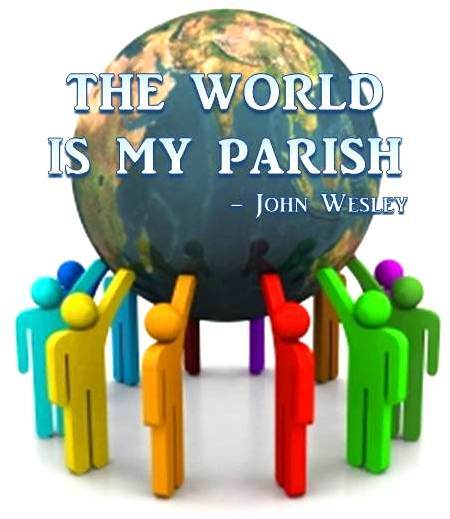 Wesley’s sermon “On Catholic Spirit” (3) reminds us that God calls us to spiritual unity, within theological diversity. That’s very different from the Catholic faith, where they are called to unity in both spirit and practice under the leadership of a sole individual. If we really embraced and celebrated international regionalism — and learned to adopt new procedures that allowed for it everywhere– perhaps for the first time we United Methodists could rightly claim to be a “Global Church,” and one truly faithful to our own traditions. (1) What I mean by this is nobody understanding each other…not simply international delegates not understanding the English. But, English speakers also confused. For now, let me make it clear that while I still advocate the “regional solution” proposed at the end of this blog, over the past six months I’ve become convinced it’s not politically possible at this General Conference. Nothing happening there now convinces me that the 2/3 vote required for restructuring is politically possible, even if its a good philosophical idea. Therefore, in recent months, I’ve been lobbying hard for the UMC to change on the issues of homosexuality directly…all of which require simple majority vote. Regionalism is the best logical decision….changing on the issues is the most likely, politically….but even that seems iffy given what I am hearing. This change in my thinking is best described in a video I made, which you can watch below.